SAF-T Auto Centers is your vehicle’s new best friend. Come meet our team of automotive specialists, and enjoy top of the line auto repair and maintenance services. We’ll treat your vehicle like it was our own. Our expert mechanics perform all the repairs that quickly get you back on the road, and all the maintenance that keeps you there. We’ve been serving the Wallingford, CT and Waterbury, CT, areas since 1978. 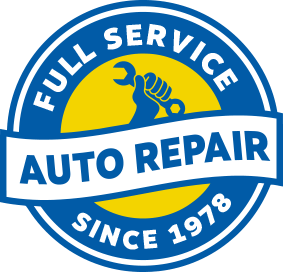 From our two locations, our experts have been an integral part of this community’s auto service needs. We look forward to showing you exactly why we’re the better alternative to the costly dealership. Get the same level of expertise with a greater focus on you, and a commitment to quality customer service. Our goal is to take care of our customers while we’re taking care of their cars. And taking care of our customers includes considering their budget. Our exceptional customer service, auto service, and sales professionals make sure to keep our prices affordable, and only perform the services that you need. You can rest easy knowing that our specialists are highly trained and experienced to handle all your auto repair needs. Our expertise always starts with our precision diagnostics. We let you know exactly what’s happening under the hood, and we know exactly how to make it go away. Solving vehicle issues completely, and for good, is our specialty. We save our customers time and money when they bring us their transmission repairs, wheel alignments, brake repairs, air condition repairs, exhaust system repairs, suspension system, or any other issue that may arise. Our preventive maintenance services are designed to help you avoid any costly repairs or breakdowns. Hybrid vehicle drivers and diesel engine drivers can also bring their services to us. Finding your next set of quality tires has never been easier at SAF-T Auto Centers. You can search for the perfect tire size using our online Tire Finder. Choose from our wide selection right now, and visit our repair facility to get equipped with the set of tires you need. Our tire sales staff can direct you to the premium tire brand that perfectly matches your driving needs and vehicle purpose. Our qualified tire service techs can maintain quality performance for any tires, using computerized tire balancing, flat tire repairs, and timely tire rotations. Seeking expert mechanics you can trust? Need a new set of premium tires? You’ve found the best shop in the Wallingford, CT area for both. SAF-T Auto Centers is looking forward to serving you! Come to one of our locations, in either Wallingford or Waterbury, to get an accurate diagnosis and a fair estimate. We strive to make your auto service experience as convenient as possible. While you wait for us to complete your repairs, feel free to use our complimentary Wi-Fi and free coffee. Just ask us about our free shuttle service and after hours drop off. Schedule your next auto service appointment online right now!